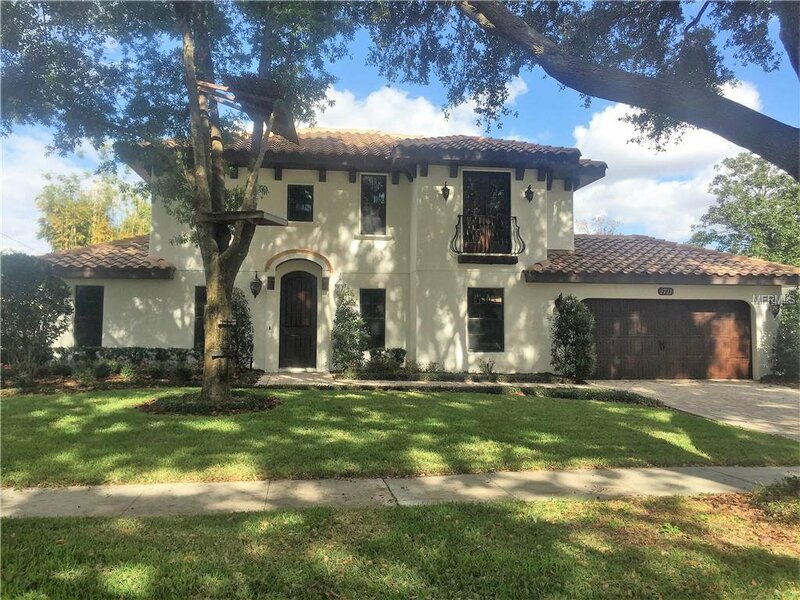 Distinguished Winter Park Estate Home offering great versatility in highly desirable Winter Park just minutes from the charming restaurants and shops along Park Avenue! This elegant two-story home includes 4 bedrooms /3.5 baths, hand-scraped wood floors and tile, custom woodwork and crown molding throughout, upstairs loft, downstairs master retreat and study. The downstairs master suite is at the end of its own corridor, complete with walk-in closet, spa bath, his and hers sinks and large shower. The Master is connected to the covered lanai and tropical pool area. The second level of this home is complete with three bedrooms, a large loft, balcony access and two en suite bathrooms complete with separate jack-n-jill amenities. The gourmet kitchen opens to the family room and is ideal for entertaining with French doors that open to a covered lanai overlooking a luxurious pool and lush backyard. The kitchen includes granite counter tops, solid wood cabinetry, top of the line stainless steel appliances. Additional features include a private office, custom closet systems and a two-car garage. Listing courtesy of REO WHOLESALE PROPERTIES LLC. Selling Office: REGAL R.E. PROFESSIONALS LLC.